Yes, you can. The state of Florida has what is called “homestead protection”, which means that your home will be protected as long as you pay any mortgages or taxes on the home. Bankruptcy: Will my bankruptcy be granted? Yes. The only time it would not be granted is if you have done something involving fraud or deceit to the court. Bankruptcy: Do I have to pay my mortgage? If you want to keep your house, yes, you will have to pay your mortgage. Some restructuring or modifying can be done in a Chapter 13 bankruptcy, but not in a Chapter 7. In some Chapter 13 cases, it is possible for the second mortgage to be removed if the first mortgage is higher than the value of the home. Bankruptcy: Do I have to keep paying my debts before I file if I know I am going to file bankruptcy? Generally, no. This is typically a poor way to spend your money. An exception would be if you were planning to wait many months before filing bankruptcy. Bankruptcy: Does my spouse have to file with me? The spouse will only need to file with you if the debts are joint or if the spouse has enough separate debt. Bankruptcy: Do I have to be behind in payments in order to file? No, you do not have to be behind in payments in order to file for bankruptcy. Divorce: How much alimony will I get or have to pay? There is no formula for alimony in Florida. It is based upon the length of the marriage and the earning abilities of the parties, along with the financial needs of the recipient. Mediation is a settlement conference. The judge does not conduct mediation. The mediator will not be allowed as a witness, keeping the settlement negotiation confidential. Divorce: How soon after we settle can I be divorced? Very soon after! The final paperwork will be signed and a date will be set before a judge. In most cases, you can go before a judge, answer a few question, and then you’ll be divorced in no time! Divorce: Can I get divorce forms from the court and do this on my own? Yes, but these forms are very general and are often challenging to tailor to specific situations. 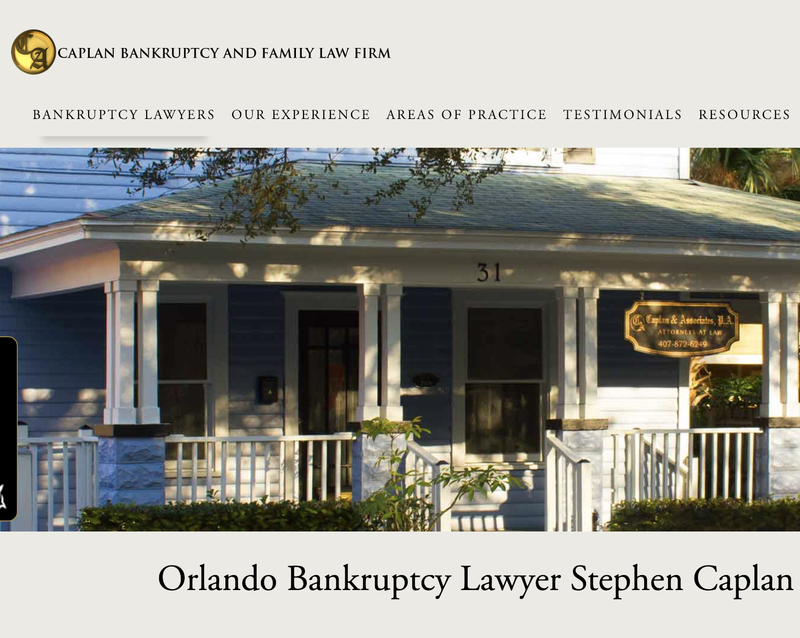 At Caplan Bankruptcy and Family Law Firm, we create customized paperwork for each client. The work is of superior quality and you won’t have to miss work or run around in order to file for a divorce. Divorce: Can we just make up a contact schedule for ourselves with the kids as time goes on without putting it on paper? No. The court requires a Parenting Plan that articulates the contact times. The more specific the Parenting Plan is, the better, as it leaves little room for confusion later. Divorce: What is the process for a divorce? You can start with either an agreement or by filing a divorce petition. Once filed and the spouse is served with the divorce papers, they have 20 days to respond. Within 45 days, each party will need to have complied with mandatory disclosure. Mandatory disclosure is the turnover of documents to the other side such as bank statements, tax returns, and pay stubs. Additional time might be needed if the case is more complicated and requires further documentation requests or depositions.